A lot of talent is leaving so what will that mean to other schools? As Syracuse Orange fans wait to see if Oshae Brissett decides to stay in this year’s NBA Draft, there are a lot of players other than Tyus Battle who have already made the decision to jump from their ACC teams to the pros. 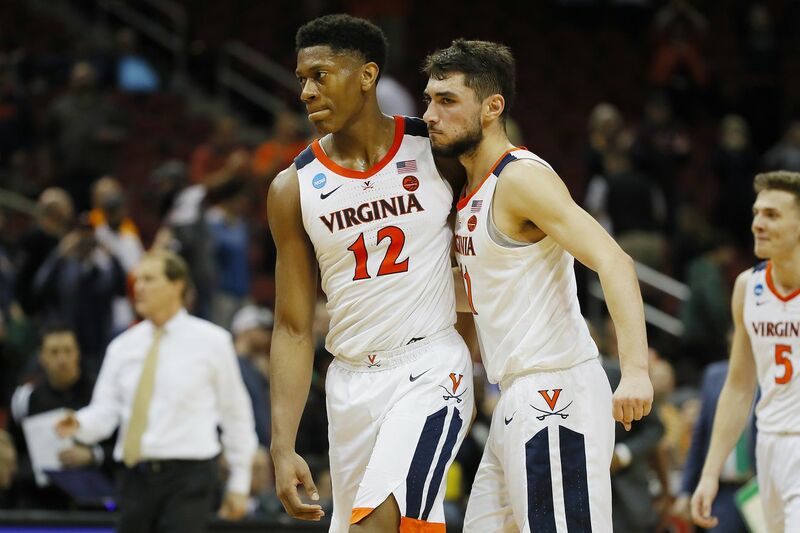 On Monday, Zion Williamson, De’ Andre Hunter and Ty Jerome all declared as expected and that means 11 of the 15 players on this year’s All-ACC squads won’t be returning. Virginia’s Kyle Guy, Louisville’s Jordan Nwora and Virginia Tech’s Kerry Blackshear, Jr are currently undecided, which leaves Notre Dame’s John Mooney as the only All-ACC player confirmed to return for the 2019-20 season. We can even go one step further and from the five players receiving Honorable Mention this year only Tre Jones of Duke will be returning. Those five players would be a solid squad but means the league will see a lot of turnover in terms of star power next season. You’re also going to see some unfamiliar names on those preseason All-ACC teams. Despite losing (at least) three starters, Syracuse could find themselves in a better position in the ACC next year due to the losses that other teams are facing. There’s still time for players from other teams to also remove themselves from the NBA Draft, but if Brissett returns then the Orange could build around him and Elijah Hughes while they integrate new players into the rotation. Louisville, Duke, Florida State, Virginia and North Carolina have top 25 recruiting classes coming in next fall, so it’s not as though the ACC will suddenly bottom out. However, it might take time for those players to make the impact of the departing group. There’s an opportunity for Syracuse, Louisville, Notre Dame and even Pittsburgh to take advantage of this turnover and move up the conference ladder. The ACC is losing a lot of offensive firepower and there might be some growing pains for teams. It’s the type of situation where an outstanding defensive team could take advantage and perform above expectations... hmm wonder who might fit that description? This article was originally published at http://nunesmagician.com (an SB Nation blog). If you are interested in sharing your website's content with SCACCHoops.com, Contact Us.